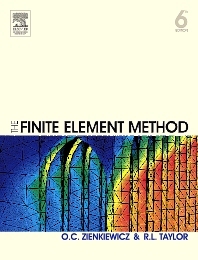 The sixth editions of these seminal books deliver the most up to date and comprehensive reference yet on the finite element method for all engineers and mathematicians. Renowned for their scope, range and authority, the new editions have been significantly developed in terms of both contents and scope. Each book is now complete in its own right and provides self-contained reference; used together they provide a formidable resource covering the theory and the application of the universally used FEM. Written by the leading professors in their fields, the three books cover the basis of the method, its application to solid mechanics and to fluid dynamics. Senior students, researchers and practicing engineers in mechanical, automotive, aeronautical and civil engineering. Key topic for applied mathematicians and engineering software developers. O. C. Zienkiewicz was one of the early pioneers of the finite element method and is internationally recognized as a leading figure in its development and wide-ranging application. He was awarded numerous honorary degrees, medals and awards over his career, including the Royal Medal of the Royal Society and Commander of the British Empire (CBE). He was a founding author of The Finite Element Method books and developed them through six editions over 40 years up to his death in 2009. R. L. Taylor is Emeritus Professor of Engineering and Professor in the Graduate School, Department of Civil and Environmental Engineering at the University of California, Berkeley. Emeritus Professor of Engineering, University of California, Berkeley, USA.